In this paper we consider the single machine scheduling problem with one non-availability interval to minimize the maximum lateness where jobs have positive tails. Two cases are considered. In the first one, the non-availability interval is due to the machine maintenance. In the second case, the non-availibility interval is related to the operator who is organizing the execution of jobs on the machine. 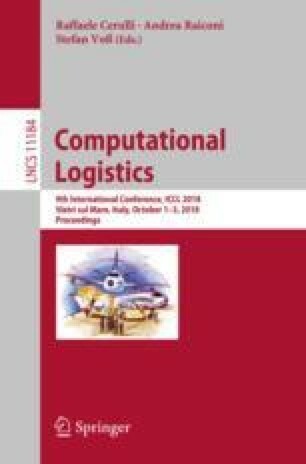 The contribution of this paper consists in an improved FPTAS for the maintenance non-availability interval case and its extension to the operator non-availability interval case. The two FPTASs are strongly polynomial and outperform the recent ones by Kacem, Kellerer and Seifaddini presented in . Supported by the LCOMS EA 7306, a research unit of the Université de Lorraine, and by the University of Graz.